Who doesn’t love a good salad? 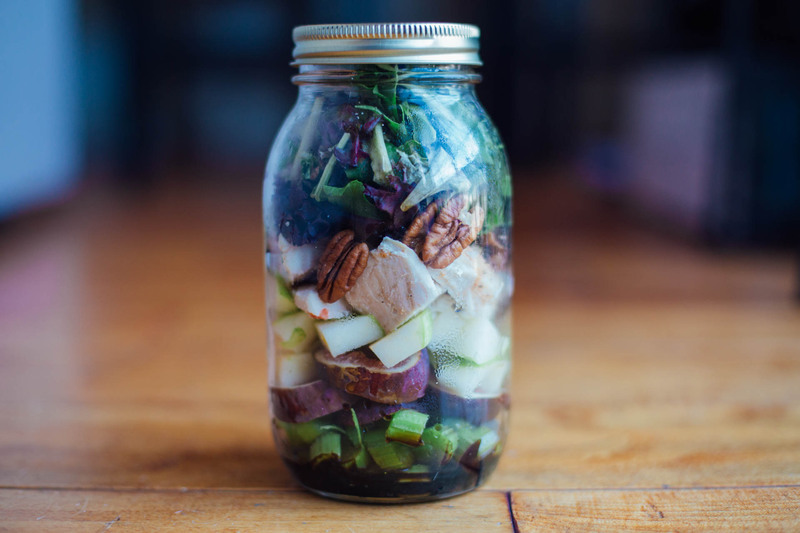 Take it to the next level with these easy salad jar recipes. The fruit adds just the right amount of sweetness to these combos. 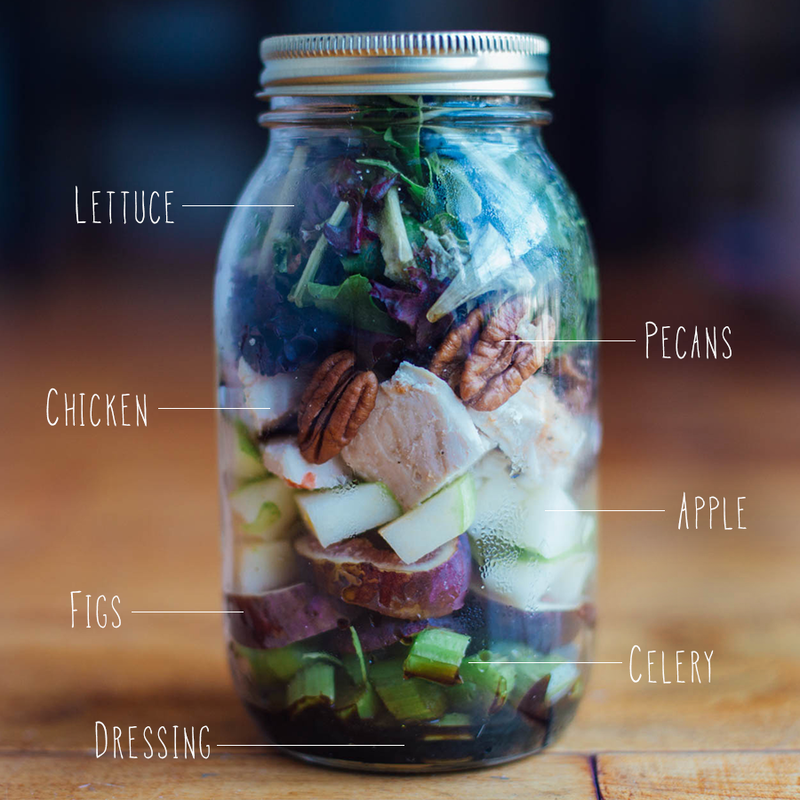 Wondering why make a salad in a jar instead of tupperware? 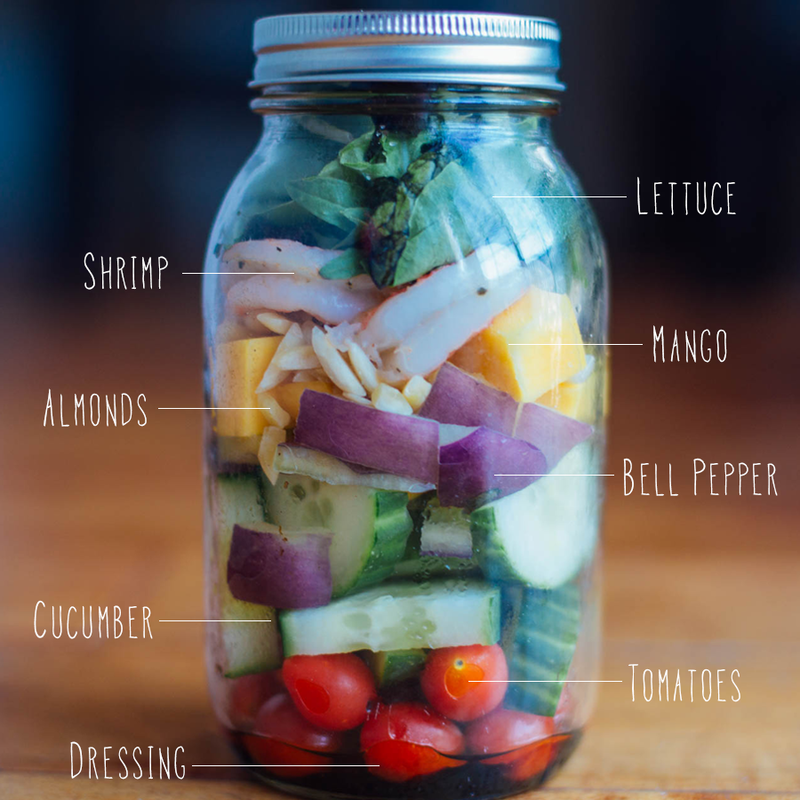 The jar allows you to layer the wet ingredients at the bottom including the dressing so your lettuce stays crisps at the top. The jars I use are around 24 oz. and make for a super filling lunch. 21 Day Fix containers: 1 red, 1 purple, 1 blue, 1 orange, 1+ green. 21 Day Fix Containers: 1 red, 1+ green, 1 purple, 1 blue, 1 orange. Hope you find these helpful. Don’t forget to tag me on instagram if you make them 🙂 @MeowMeix. Is there a way to print your shopping lists and recipes? It be very helpful. I just love your meal prep posts. Is there a way to print your recipes and shopping lists for the meal prep stuff? I just love the idea and the recipes. Love the pics! What app did you use? Excellent. I’ve been shooting with my iPhone 6 but I have a Pentax I should use more often. Do you use an app for your picture labelling? How much of each ingredient did you put in the salads? How many mango, figs, etc?